 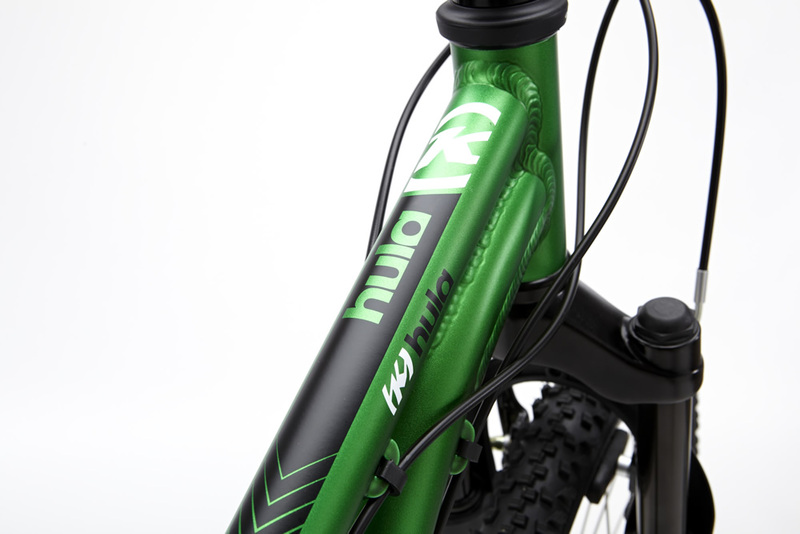 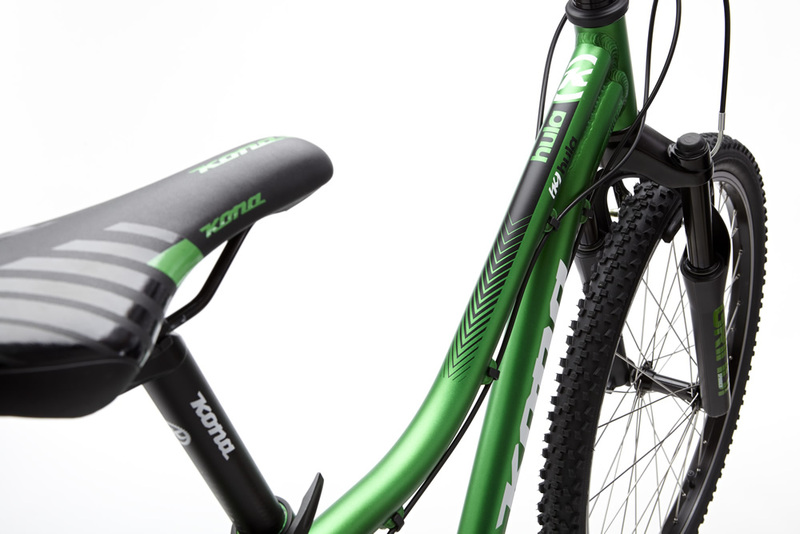 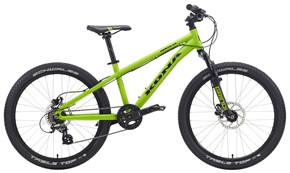 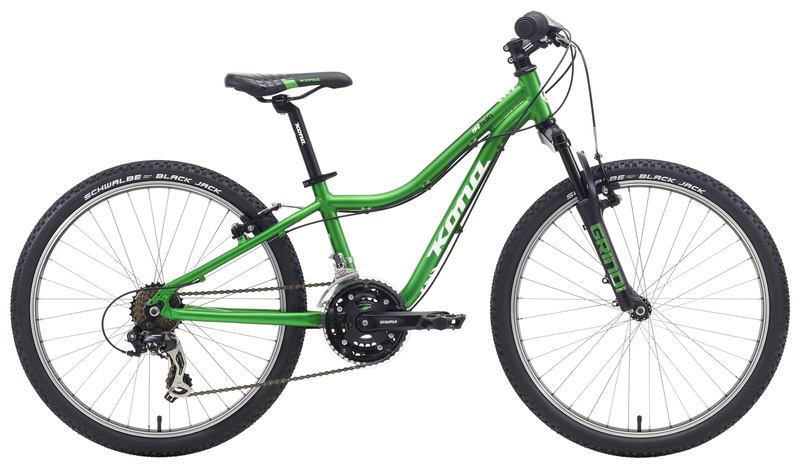 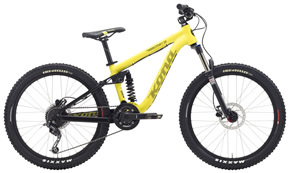 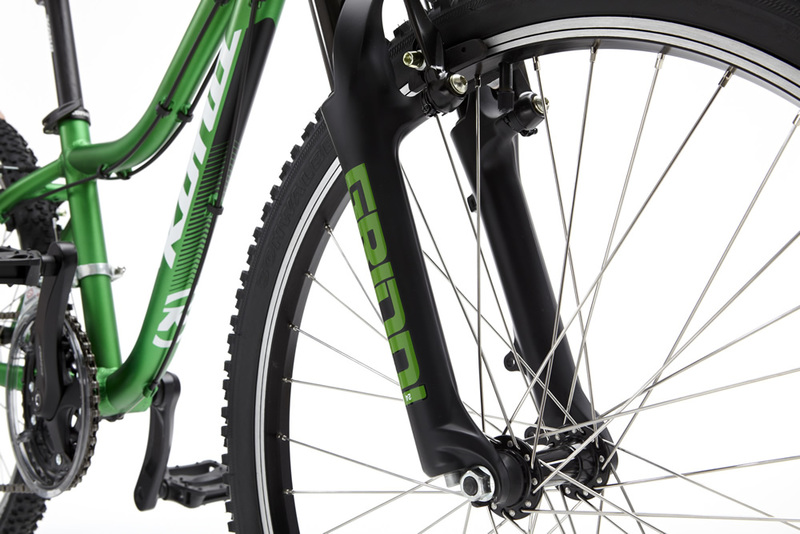 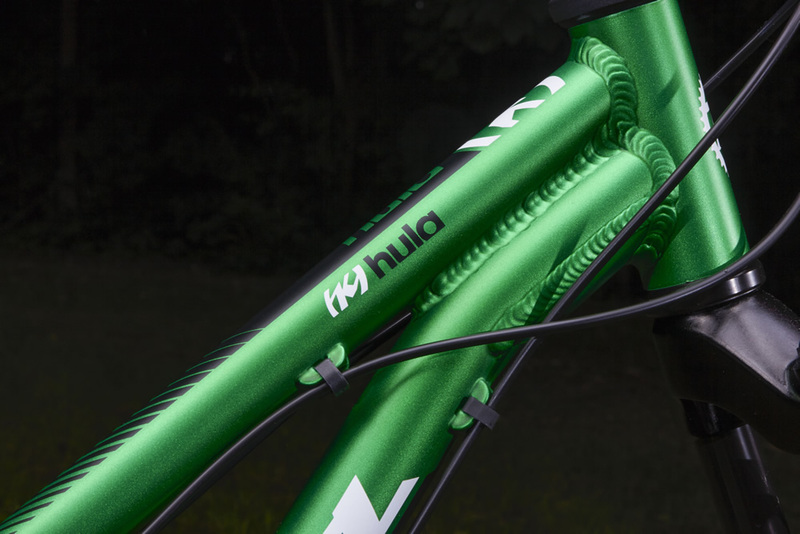 The Hula is the go-everywhere Kids’ cross-country mountain bike, perfect for ages 8 through 12. 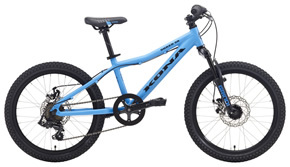 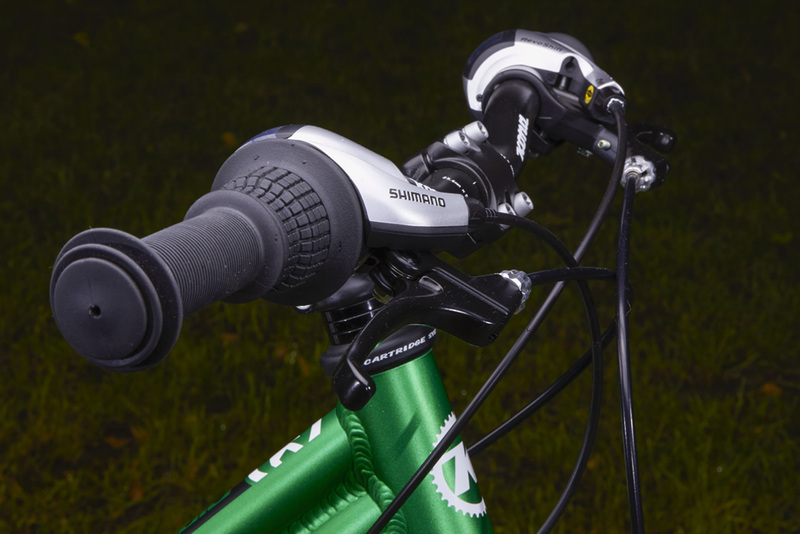 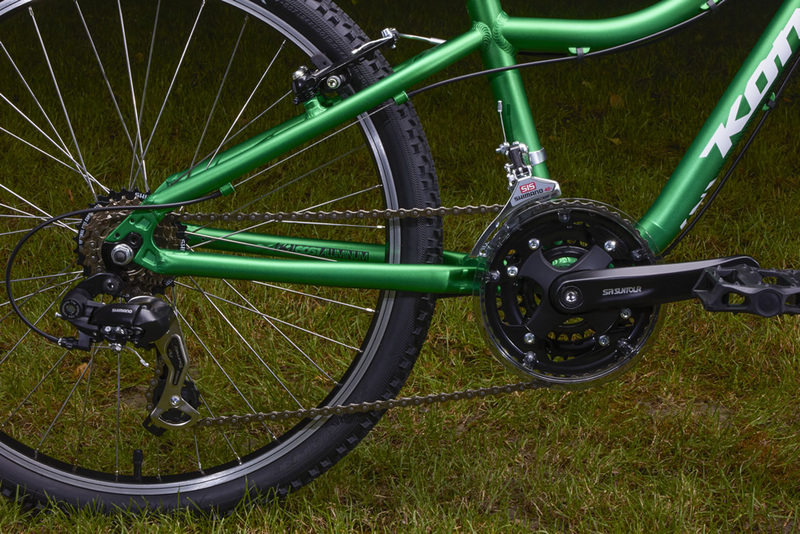 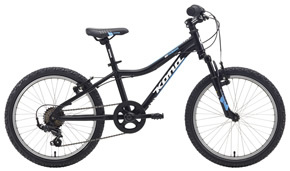 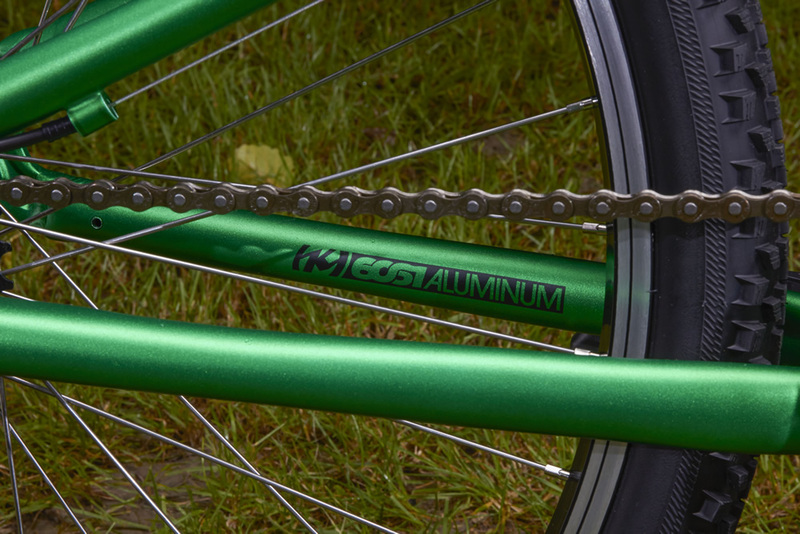 It has triple chainrings, low standover clearance so it’s easy to get on and off, and kid-sized components that work, along with soft front suspension, a comfortable seat, snappy brakes and reliable shifters. 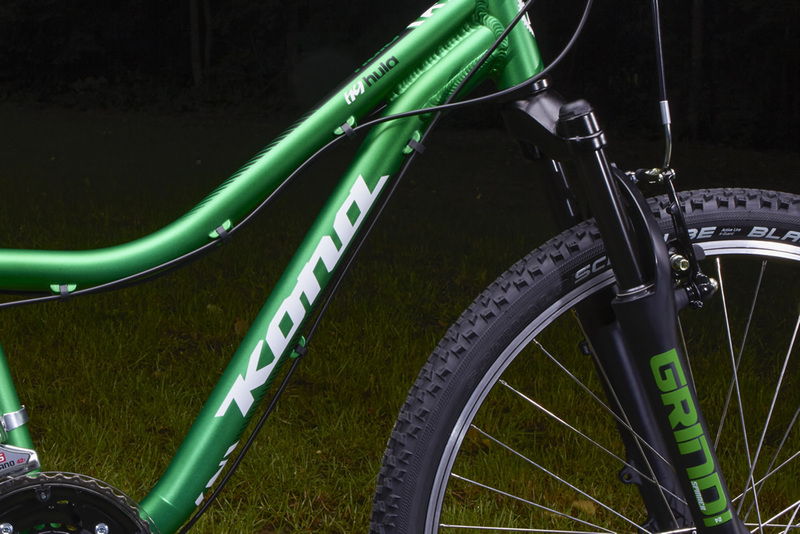 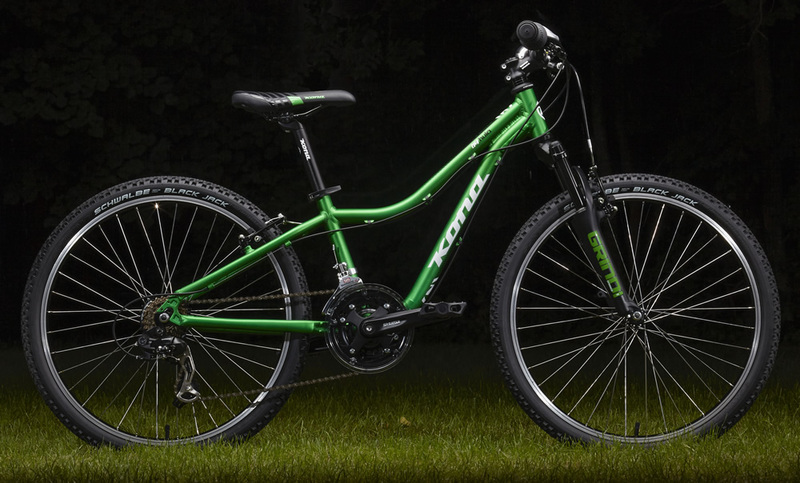 And, of course, Kona Kids style means fun and freedom come in two different colors: Purple and Green.